Many places hype the fact that they have individual leases. But wait! Do you really want an individual lease? 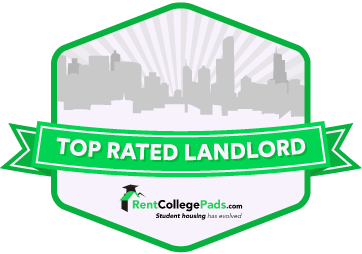 Individual leases might look like a good idea, but do you want to spend the year living with roommates assigned by the corporate head office in some distant state? Do you want to be the one stuck with the utility bills when your roommates move out? How about your stuff? Your food? Your valuable personal belongings? Being able to choose your roommates and not having to lock up your stuff are why you are moving out of the dorm. Individual leases are much like living in a dorm. Group Leases are the only way to go. Be aware of pitfalls of “individual” leases. We’ve been in business for over 40 years and know that individual leases are not what they appear to be. In theory, they’re great, but life is no theory. Do you really want some unknown manager in another state in control of who you live with? Do you want to live with your possessions kept under constant lock and key? Who pays the utility bills when one of the roommates drops out of school? That’s why we offer group leases where you control who your roommates are and how the bills are paid. But most important, you are living with people you know and trust; you don’t have to keep all your stuff under lock and key. Our leases follow the standard, widely accepted format of the Columbia Apartment Association. Leases are for one year. The security deposit equals one month’s rent. Our lease cycle tracks the MU semester calendar. For most undergraduate campus units, we start leasing August/September for occupancy the following August. Our luxury Ashley Ridge condos reserved for grad and professional students and post-docs are available in December, January, May, June, July and August. But if you are a graduate, professional or post-doc, please don’t hesitate to call us anytime during the year. We might have what you want when you want it. All of our units include major kitchen appliances (and in most units, washers & dryers), but are otherwise unfurnished. Tenants are responsible for utilities. We do not rent single rooms, but if you wish, we can sometimes assist you in finding compatible roommates. All our apartments, houses and condos are animal free for those who have animal allergies. Leasing from us is easy, hassle free, and there are no nuisance fees, no add-on charges, no parental signatures required. Complete an application, put down a security deposit, sign a lease, and the place is yours. It’s that simple. Email us or call Denice or Wendy at 573.445.1892. Copyright © 2000-2019 Warnken Properties. All rights reserved.